All cards are in mint condition unless stated otherwise. Set: 2010 Epix Gold. 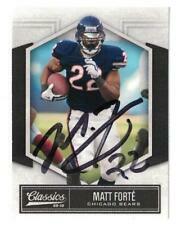 Player: Matt Forte. Team: Chicago Bears. Year: 2010.